I was shuffling through some of my older pictures when I came across this shot. 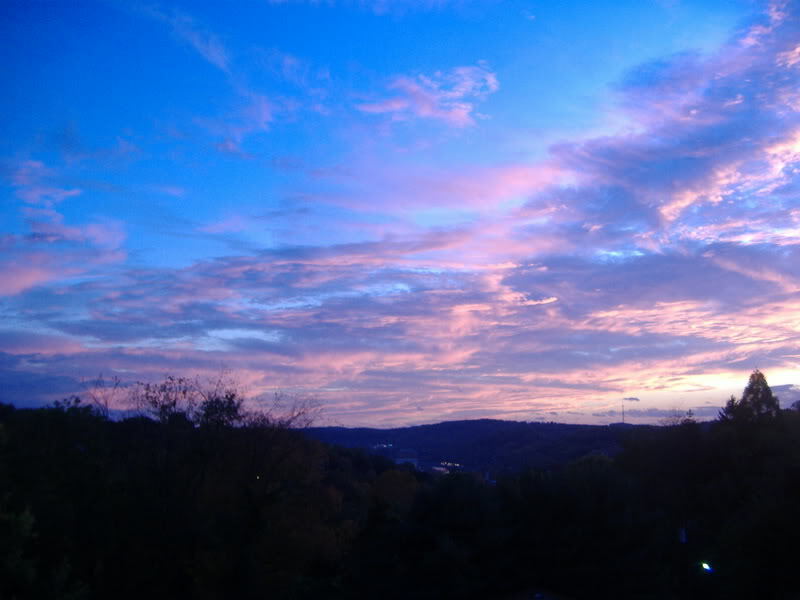 I took it from my apartment balcony in Morgantown, WV a couple years back. The sunset was so gorgeous that evening. WVU's campus is directly in the center. I loved my time there so much and can't wait to go back and visit. I compare my college experience to something out of a dream. It felt too good to be true and surpassed any expectations that movies or television might have put into my head. The place is that magical. Lets Goooooo Mountaineers!